I have ridden a few gravity-focused, semi-slick rear bike tires, and my appreciation for the genre continues to grow. The new semi-slick tread from e*thirteen, dubbed the LG1 EN Semi-Slick, is a solid choice for dry-ish trails when gravity is not the only thing moving the rider forward. 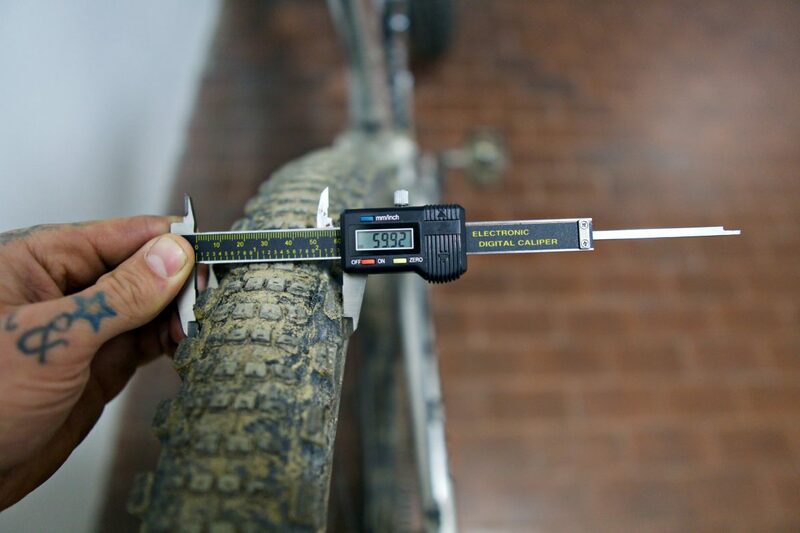 If you are going to pedal along the way, this rear tread will cut the effort. The overall tread pattern is well thought out. Every other row of center nobs line up with the shoulder knobs to make a smooth transition between the two sections. The tightly packed central knobs are siped to add braking and early cornering traction while keeping the tread as smooth and fast as possible. Shoulder tread is bolstered by what e*thirteen calls “accordion sipes” designed to allow the side tread to deform predictably, free of squirm. The casing on these tires is a stone fortress. The designers added an aramid layer to the sidewalls, simultaneously providing cut protection and improving air retention. 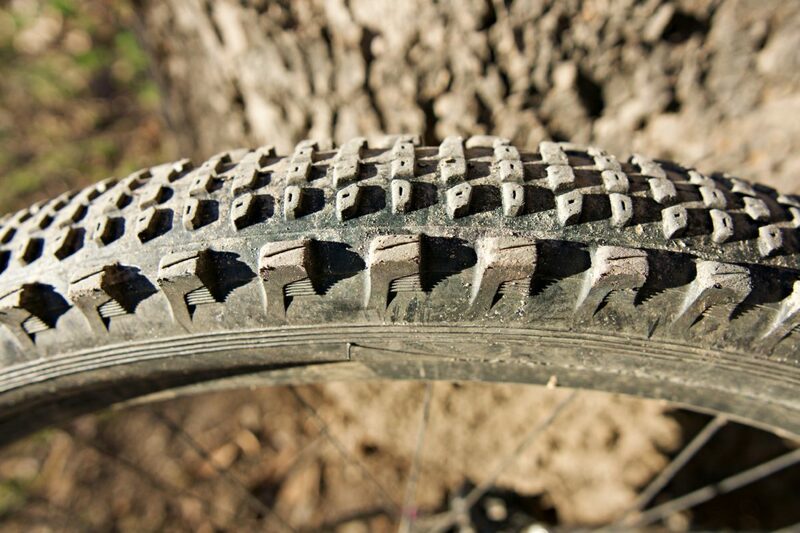 Together with the reinforced pinch flat zone, these tires appear ready to be ridden rough. I rode with the LG1 EN Semi-Slick on my leggy-forked hardtail, and a 160mm full suspension all-mountain rig, and I loved it on both bikes. Contemporary all-mountain sleds are great at improving nearly every element of trail shredding, but they are undeniably heavier. With the low-profile, tightly packed center tread on the semi-slick tire, that weight has less resistance to deal with while pinning it in a straight line. Plus, I found the same cornering grip promised on the brand’s other gravity tires. On grip, the LG1 Semi-Slick handily outshines the other semi-slick rear tires I have ridden. The siped center knobs are soft enough to grip better than many of the low profile XC treads I have ridden, and outside of super steep fall-line riding or mud, they provide ample braking traction. The tire transfers seamlessly to the shoulder knobs and provides a glued sensation when leaning in. I didn’t notice any squirm or awkward movement in the tread while pushing through corners, and the tread breaks loose predictably in most turns. I rode with this tire in nearly all conditions, including a downpour, and it performed well in almost everything the sky threw at me. Optimal under the sun, this tire is manageable when the trail becomes wet, thanks to the widely-spaced shoulder knobs that don’t pack up with mud. When it’s actively raining the center tread does become slick with packed mud, as will happen with any semi-slick tread. I pushed this tire harder than most, trying to puncture it or tear it asunder. My job when reviewing tires is to ride them as hard as the most aggressive reader would, and then report the results. As a lighter rider, that requires me to cross the limit in rock gardens and when landing jumps. I mounted a foam insert in the tire to save my rim, and otherwise kept the pressure low (20 psi / 1.4 Bar) and the beating high. 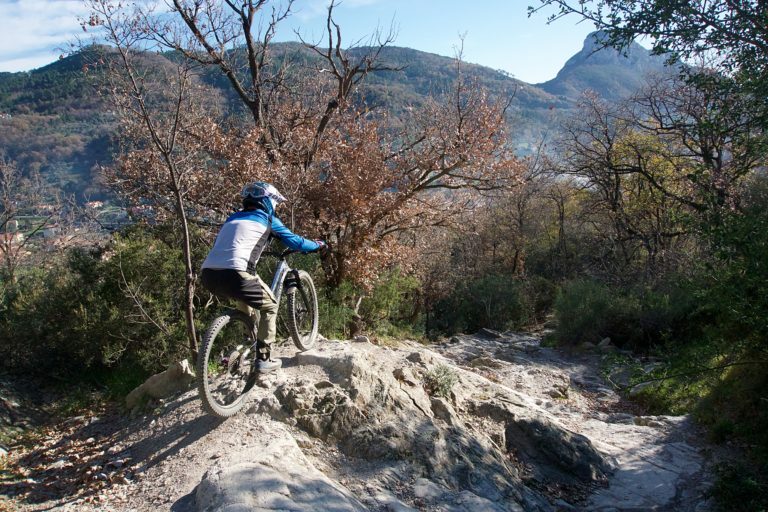 I rode some of the roughest trails in Finale Ligure and Sestri Levante, in addition to my home trails in Turin, often trying to keep pace with folks who are far faster than me. The combination of rough tracks and fast friends typically results in a puncture, but not this time. I heard the rim pang against a rock more than once per lap in Finale and Sestri, but at the end of the descents I had the same air pressure I started with. I didn’t lose any sealant from punctures or sidewall tears, and the tire didn’t weep fluid from its sidewalls. I re-checked the sealant before sitting down to write this review, and there is still plenty sloshing around in the casing. Finally, the tire’s tread is oddly durable considering its sticky grip. Often high-grip, siped tires wear out quickly, but this one has not. After several months of riding roughly six days per week, the tread is still providing copious braking and cornering traction. I pedal a few kilometers on pavement to get to my daily loop, and even that has somehow not sanded off much of the fast rolling middle tread. This is due, no doubt, to the selection of a soft/tacky compound for the side knobs and a longer-wearing compound in the middle. I read a lot about the grippy qualities of e*thirteen tires prior to testing the LG1 EN Semi-Slick, and I was happy to find those reviews ring true. 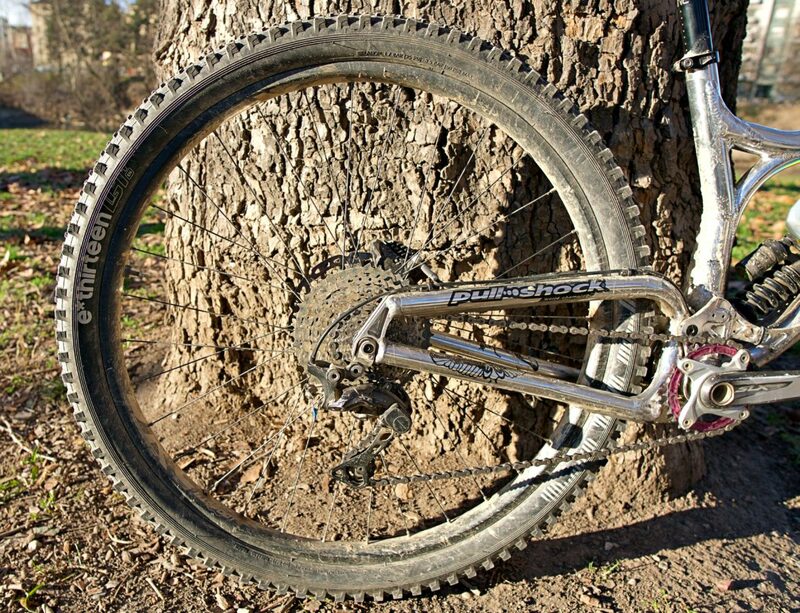 This tire is fantastic for most conditions, it’s reasonably priced compared to other sturdy gravity treads, and it is built to last. If you are looking for a faster-rolling option that won’t compromise braking and cornering traction, the e*thirteen LG1 EN Semi-Slick is definitely worth its weight.